Recently I was contacted and introduced to a brand found in John Lewis I hadn’t originally ever heard of – Phase Eight. 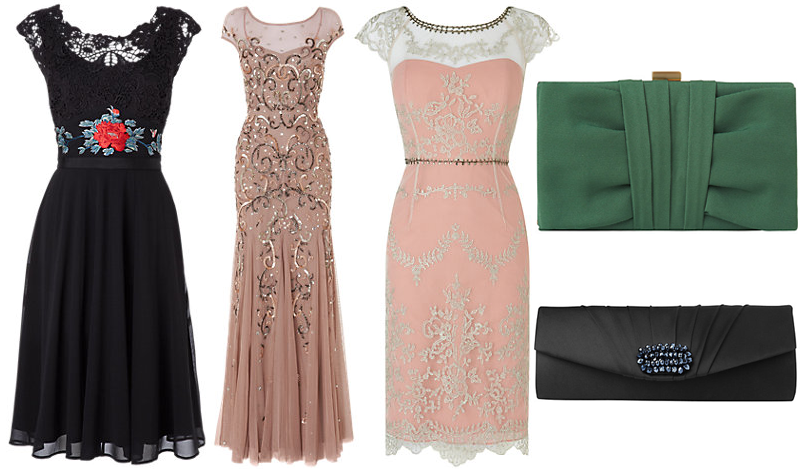 After a little browse online at the collection it made me crave for a big ‘red carpet glamour’ night. All a girl ever wants is to up once in a while, put on that stunning dress, those sparkly, painful-but-totally-worth-it heels, do the big hair and smoky eyes and finish the look with a bold lippy. Unfortunately being a student it’s very rare that I ever get those occasions so I decided to share a little wishlist for you for finding the perfect pieces for the glam look. They have the most perfect dresses, my favourite being the pink lace cocktail dress. The colour is absolutely gorgeous and I can see it looking great with a neutral, light wash of make-up, a silver clutch and silver heels to match. What dress is you favourite? How would you style it?